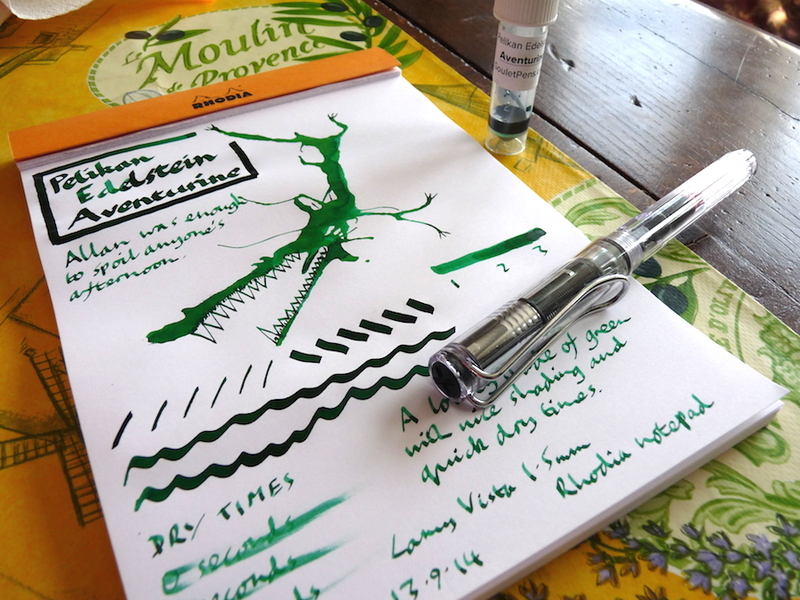 Pelikan Edelstein Aventurine ink review – Pens! Paper! Pencils! This is a very green green. Made from the purest green, perhaps. It has good dry times and good shading, too. 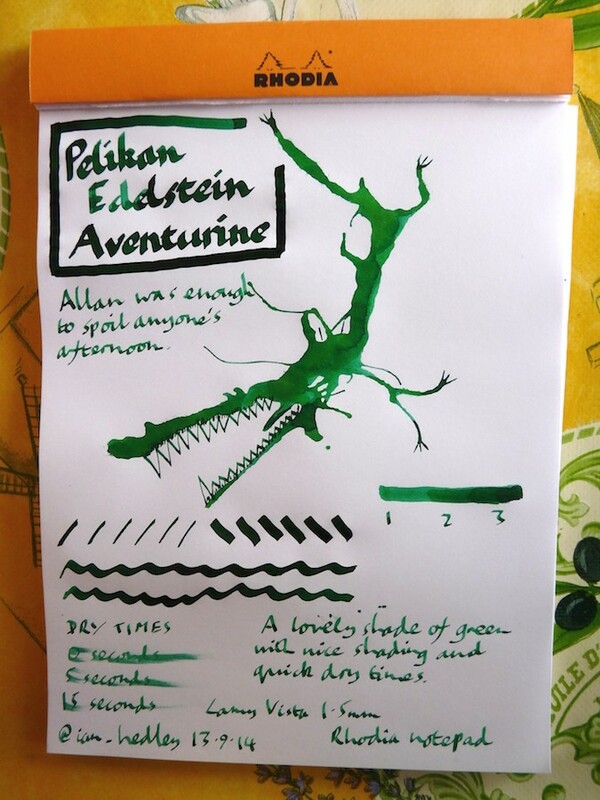 You can find some more reviews of Edelstein Aventurine on Pennaquod.